A huge search for the young female diver has been called off for the night, after a week of heavy rain in the French capital. 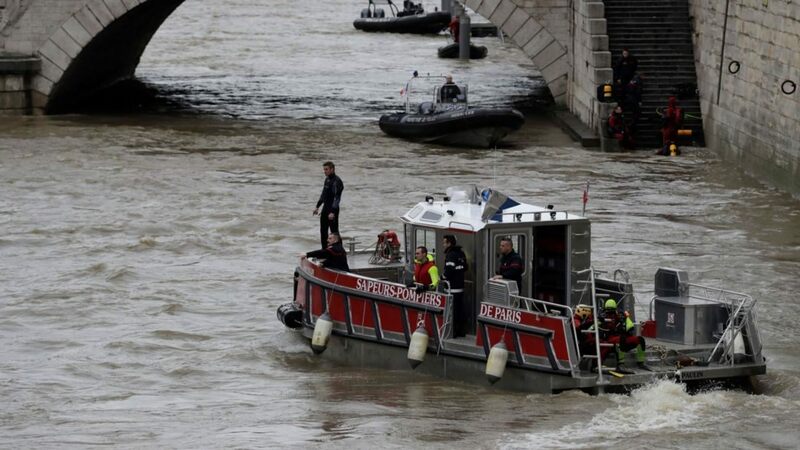 A police diver has disappeared in the River Seine, close to the famous Notre Dame cathedral, during a training exercise. The young female diver vanished on Friday morning in the river, swollen after days of rain brought by Storm Eleanor. A massive search operation has been launched involving 25 divers, more than 100 emergency workers, a team of police officers and a helicopter. The teams have been using heat-seeking cameras and set up a cordon around part of the river in the centre of Paris, but bad weather and tough conditions forced them to suspend their search for the night. The missing diver, who has not been named, is reported to be a member of the river police, specialising in recovering people who fall into the water. The search for her stretches from the Pont Neuf, past the Pont Saint-Michel next to Notre Dame cathedral and on to the next bridge, the Petit Pont.